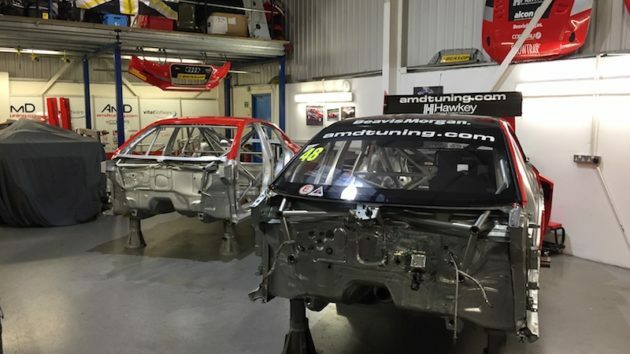 AmDTuning.com team boss Shaun Hollamby says he is keen to see the Audi squad move to the ‘next level’ after confirmation that it has secured a second TBL for the 2017 BTCC season. Having already re-signed Ollie Jackson for next year, the team will now field a second Audi S3 after being granted an additional licence by series bosses – marking the first time it will have run two BTCC cars on a full-time basis. Talks are already underway as the team evaluates its options for the second car, with a number of drivers having already thrown their names into the hat. An announcement will be made in due course, but Hollamby said he was confident of finding a partner for Jackson that would allow the team to make progress up the grid next year. “We made no secret of our desire to run a second car next year and are delighted that we’ve been able to conclude a deal to acquire the TBL that we needed,” team boss Shaun Hollamby said. “As ever at this time of year, there was a lot of interest in people who wanted to run additional cars and the fact that there will be a second Audi for the full season is an indication of our desire to take our BTCC programme to the next level. “Having already agreed a deal to re-sign Ollie last month, we’ve had a lot of interest in the second seat and are in talks with several drivers about joining us for 2017. Alongside the expanded touring car programme, AmDTuning.com has already announced a new-look GT programme for 2017 which will see it competing in both British GT and the Michelin Le Mans Cup with a new Mercedes-AMG GT3.